Losing a job right now is not an easy situation. When you listen to the current news, there is an increase rate of unemployment. That is why if you have a job right now, love it and take care of it because it is very hard to find another job again. It is like repeating all over again. To have a good job stability, you have to make yourself indispensable and irreplaceable as possible. You have to prove to them that your loss will be a big impact on your company. It is very hard to lose a job that is why you should take care of your position and your profession as well. Find a job that you love and you will never have to work a day in your life. If your office mates would stay in the office exactly 8 hours, you should make a way to be different. Show the company and your manager that you arrive in the office early and stayed up late because you want still to finish your work. In this way, you are trying to show them that you go beyond and you make a difference. You are not just working for the sake of working, but you are working because you also want the progress of the company and your professional growth as well. As years go by, company heads would also want their company to progress and they might like it much if the progress requires a lower amount of cash and that is your responsibility. Be resourceful enough to find ways for the latest updates you can offer for your work and to the company as well. We all know that everyone is busy and they have a work designated to them per position but as a good worker, you have to observe what others really hate about their work and make a good offer to make it for them. For example, your manager really hates to send business mails to other companies. As a help, you have to offer yourself in doing their work. Surely, they will really like you. You will look responsible, aggressive and assertive. Even though you are working in that company for yours, you still have to show and convince them that you are still loyal. You are still the one who applied in their company before that is very willing to work for the good of the company. Assurance is what they want most especially to the tenured ones. Lets face the fact that the employment industry is quite scary because it is uncertain but beyond the uncertainty, we still have the right to show them that we work hard and we are worth keeping. Why Do We Need to Have Goals in our Life? Go as far as you can see, and when you get there, you will see farther. The goals are the things we need to accomplish after a task or a series of tasks. We need to have these goals in order for us to set directions in our life. If we could notice that almost all successful men succeed because they have goals in life. Goals give you direction in life. This is true, goals will give you directions in life. If you have no goals, you don’t know where to put yourself in. For example, if you set a goal that you will top in a class, you will have a direction in your studies that you will study hard, top the exams and excel in your classroom performance. But if you don’t have a goal as a student, it will turn out that you are going to school for the sake that you can graduate. You are sure that you make your own decision in life. If you set goals, you really know to yourself that you are the one who set direction in your life. Not your family, friends or your loved ones. I know that we are also not satisfied if someone set directions for ourselves right? So, it is better to set goals for ourselves for us to follow our own directions in life. Not by somebody else. You are sure you get what you want from life. If we set goals, we achieve the things we want and if we achieve the things we want, we are happy and contented about it. Setting our won goals would also give us the reason to be happy and to be satisfied what we have. Goals could give us self-fulfillment and self- satisfaction. If we are happy and contented with what we have, we could already achieve self-fulfillment and satisfaction and this could help us grow as a better person. Goals could contribute to our self- worth. If we work hard for our goals and we achieve it, it could contribute to our self- worth and self-worth cannot be bought in any stores, it is earned over time through our efforts and time. If we have self- worth we can grow holistically as an individual and we felt good about ourselves. If we felt good about ourselves, we can also share it with others and we can have a good relationship to other people as well. We can never gauge success. Even though we are too rich, have a successful business, many cars, too much money in the bank, but if we are not happy, it can never considered as successful. Success means that even though how simple your life may be, but you love your work, happy with your family and fulfilled with yourself and life, then it is a success. Success is never measured by money and fame. It is something that is within ourselves that we ourselves cannot even explain. 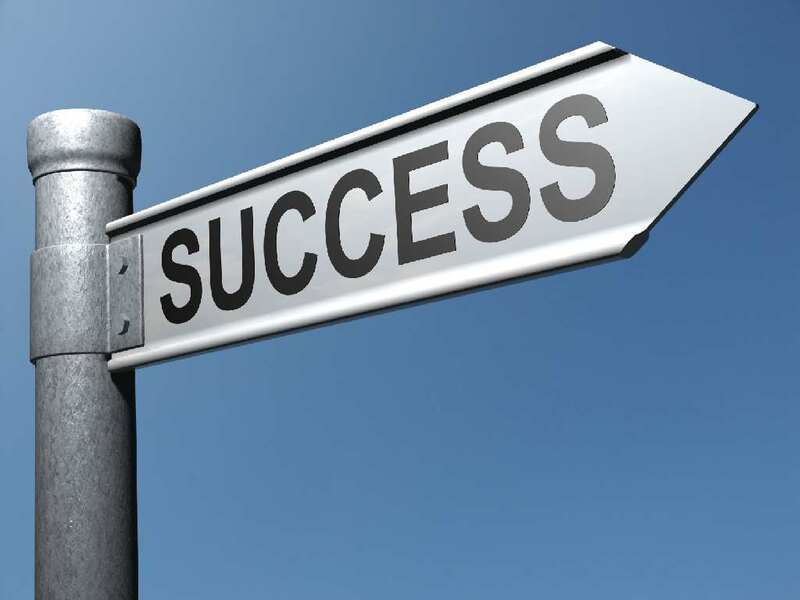 In this article, you are given simple steps on how to reach a successful life. This is very important because you will know what is your goal and where is your destination. If success means a big house, one car, happy family, great job, well it’s fine. You make sure you can reach it. Anyway, it doesn’t depend on how rich you are. It’s the happiness that you felt after reaching your goal. Always remember that every person has a different definition of their own success because they have different needs. So, make your own and day after day, reach that success. Step number 2: Write down! Writing down your goals will it as an achievable one. It is also one thing that will remind you every day that you have goals to reach so it will not be forgotten. In this busy and hectic life, we may tend to forget some things so, writing, will keep us updated. Always remember that goals that are not taken some actions are just wishes. So, don’t allow your goals to be just wishes. You deserve to be successful! So, write a plan and make sure you make a way to reach it in its possible way. Step number 3: Learn to prioritize. Prioritization is very important because it will rank your priorities according to its purpose and importance. If you think you badly need that goal in your present situation, make way to achieve it as soon as possible. Step number 4: Make immediate action. Procrastination is the culprit to every success. If you know you can do it today, don’t let it pass and don’t waste your time because time is very essential and you can never get it back once it was lost. 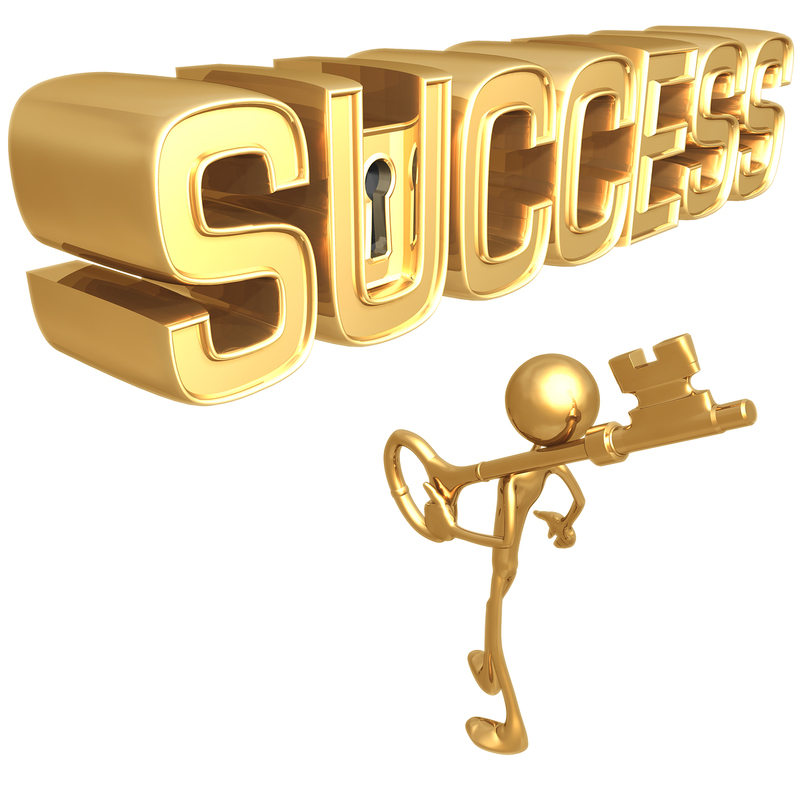 There is no secret in achieving success nor short cuts in reaching success. It is the product of our hard work and sacrifice. Just learn to love what you do and never think that it is a burden for you. Put in mind also with the positive things and never stock negative thoughts on your mind. One important thing in achieving success is by putting our feet still on the ground. Never be beautiful enough most especially to less fortunate. Learn to help and share your blessings because it will always go back to you. And lastly, thank and give praise of all the blessing you receive. Imagine how lucky you are enough. 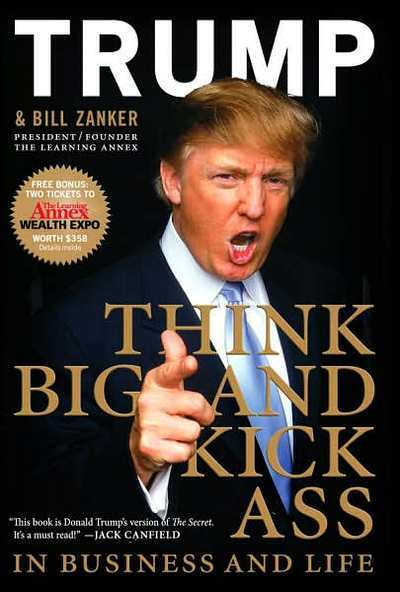 I love Donald Trump because he always talks about being big, playing big, and thinking big. It seems like Trump’s favorite word is BIG. Donald trump is clearly playing big in life. He has big cars, big boats, big buildings, and a big attitude. He has also made a big difference in millions of peoples’ lives through his businesses, writings, books and teachings. Now I’m not saying I think Trump is a great guy or that I’d like to be his best friend. What I’m saying is he’s clearly playing a much bigger game than most of us play. Most of us just worry about how to pay the rent – Trump worries about how to build thousands of apartments for people to lie in. There’s a big difference in the impact! Donald Trump thinks big! Do you? Most people play small. If you want real freedom, power, and joy in life you must learn to play a bigger game. Instead of worrying about how you are going to pay your bills, worry about how you can help others pay their bills. Instead of worrying about your financial security, help others achieve financial security. While some people are worrying about how they can’t afford a car, others are buying the whole dealership! I highly recommend reading books, watching videos, and listening to recordings of people who play big in life, like Mahatma Gandhi, Martin Luther King, Warren Buffett, Mother Theresa, Chris Gardner, Bill Gates, Steve Jobs and many more. Nothing will open your mind up to possibilities like learning from these great people who played big in life and have achieved incredible things – accomplishments that many others had said were impossible. As Napoleon Hill wrote in Think and Grow Rich, “the real measure of intelligence is action.” So get to work! Set your goals and commit yourself to playing big. Roger Bannister was the first man to ever run a mile in under 4 minutes. Well before he ever accomplished this feat, he openly proclaimed that he would do it. He set his mind on it. Roger Bannister was not the most fit or athletic person in the world. He simply knew that he wanted to run a mile in less than 4 minutes. And he did. Roger Bannister broke the 4-minute mile… and now high school kids can do it. What changed? What’s incredible about Bannister’s accomplishment is that within nine months 36 other people ran a mile in under 4 minutes. In the last 5000 years of recorded history, no man had run a mile in under 4 minutes EVER. And then all of sudden nearly 40 people did jus that in less than a year. That is the power of knowing what you want. Today, even some high school students have run a mile in under 4 minutes. Before Bannister ran the mile in under 4 minutes many people said that a human being was incapable of running that fast. They said your heart would stop if you ran that fast. Maybe people had been saying that for thousands of years. Maybe that’s why no one ever ran a mile in under 4 minutes. But all it took was one man to say “I want it and I will do it.” That is the power of setting goals and committing to action. We know how to take care of errands, but have we accomplished something great with our life? Have we made a difference in the world? Are we living up to our real potential? Or are we just settling for an average life? As Confucius said, “A man who shoots at nothing is sure to hit it.” Don’t let that be you. All I’m saying is that I’d rather aim for trillionaire and settle for millionaire than aim for nothing and stay broke all my life. How about you?